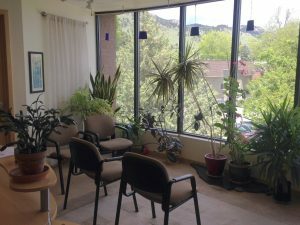 Roots of Wellness Ayurveda is located in the Newlands and Mapleton Hill neighborhoods in Boulder, Colorado. 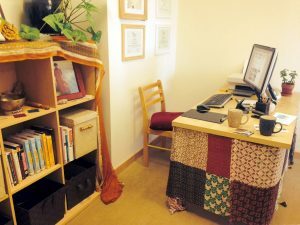 We welcome you to contact us, find a practitioner, and learn more about Ayurveda. We’d love to hear from you! Our office is an easy walk from the SKIP bus line on Broadway Street at Broadway and North Street. We are conveniently located two city blocks from Ideal Market and Boulder Breadworks Bakery & Café, the Community Plaza Shopping Center, and North Boulder Park. At Roots of Wellness Ayurveda we spend plenty of time with you to understand your health. We will support you from the comfort of our intake room. We honor traditions of India and offer the best of modern Ayurveda . 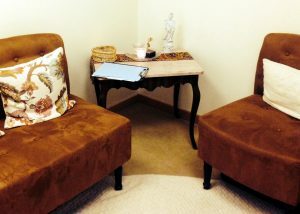 Every detail of the Matrix Professional Center is consciously designed with your healing in mind. Our Ayurveda Practitioners are not licensed physicians or medical doctors. As appropriate, we will work with you to coordinate your Ayurvedic healthcare protocols with your medical care team. All herbal and supplemental remedies and formulations are checked for pharmaceutical drug interactions and contraindications, as well as for efficacy based on published scientific medical research. We operate with the highest standards of care and integrity, in full compliance with the Colorado Natural Health Consumer Protection Act, Colorado SB 13-215. For more information about Health Freedom in Colorado, please visit National Health Freedom Action.